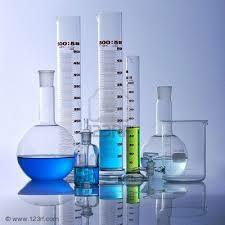 The student must accept responsibility and pay for any damage she causes to the equipments in the Laboratories. During the Practical classes all students are requested to wear overalls. A student who has no overall will not be admitted to the Laboratory. Books from the School Library are issued regularly. No other magazines, books or papers may be circulated in the school without the permission of the Principal. While taking a book, if any defect is detected, it should be brought, to the notice of the teacher. Students are not allowed to keep any book borrowed from the library for longer than two weeks without permission. A late fine will be charged at the rate of Rs. 1/- per day once the due time is over. Before taking a new book each student should read the previous book completely. Ten days before the vacations and examinations all library books have to be returned. Before leaving the library every student must submit for scrutiny the books borrowed. Books borrowed from the Library must be returned directly to the Librarian. They must not be circulated. A student who circulates books borrowed from the library may have her library card withdrawn and may be fined as well. Any defect noticed in a book that is being borrowed, the librarian should be notified. Failure to do this checking renders one liable to be considered responsible for the defect noticed on the return of the book. 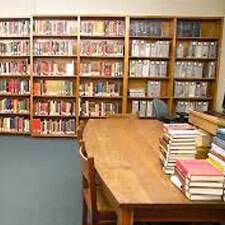 Fines will be imposed on damages done to books and articles in the library. A remark will be entered in the library page of the School Diary for every book returned late. Three such remarks will result in the withdrawal of the lending card and a fine of Rs. 50/- may be imposed. During Class hours (8:00 – 2:20p.m) classes will be allowed into the library only according to the timetable published by the Principal. Permission to enter the library during these class hours must be obtained from the Principal.